Faye Dodds (nee Connelly) studied beauty therapy at Newcastle College for three years, graduating in 2002 as a fully qualified beauty therapist. On graduation Faye was offered a position at Slaley Hall, Northumberland's premier spa, where she worked for four years, developing additional exclusive treatment skills and becoming Senior Spa Therapist. Today many trading beauticians are not professionally trained but 'self-trained' using YouTube, so are not insured or able to join professional trade bodies. Faye is a fully insured member of the British Association of Beauty Therapy and Cosmatology and her qualifications can be viewed below. 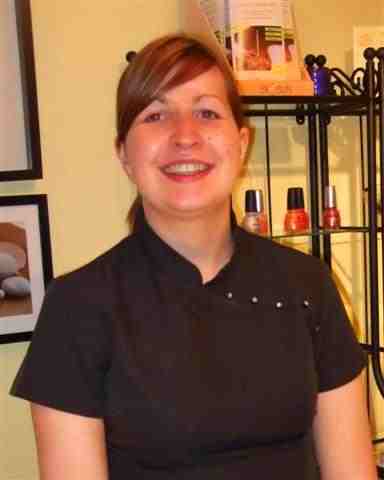 In 2006 Faye decided to start her own business, Heavenly Treatments, and brought her beauty therapy and personal grooming skills to the exclusive Darras Hall and Ponteland area with the emphasis on providing outstanding customer service using the best organic natural products. Faye treats all clients personally in her exclusive, private treatment room, so developing a detailed understanding of each customer, their skin type and personal needs. However, for those clients who have reduced mobility through age or illness and are unable to visit the treatment room, Faye will provide her services in a client's home wherever possible. For those customers who can't drive but are able to visit the treatment room, transport can be arranged at a small nominal cost. Faye is also fully police checked to allow her to work with children and elderly people. In addition, Faye has a NVQ Level 3 in Custoner Care to go with her outstanding attitude towards her customers.